Hey girls, had it confirmed today by doctors that it was an early miscarriage, pregnancy test came back negative so they said I was fine to start trying again right away! So CD8 for me and will begin BDing soon and just try every other day or every 3days. Won't be testing again until a week after missed period this time though!! Good luck for this cycle for you loulou, hope you have better luck. I ovd Wednesday (i think) so entering the 2ww. Although I have extremely bad ovulation pain this cycle, which is still going on now, so slightly concerned i might have another cyst. Hey tavish, hope you are ok!? Are you going to mention painful ov to the docs? I am CD10 and have started BDing as of tonight. Not doing OPKs or anything this month, trying to be relaxed and just go with gut feeling which is pretty much what I did last cycle. My app says I am not due to ov for another 8 days but who knows with only being 3rd cycle off BCP and MC last cycle. Good luck both of you, thinking of you guys today! It’s still here! I’m 7 weeks tomorrow (I think) and i have my appointment in 11 days..
Oh hun I am sorry! I wish it was better circumstances for you. Make sure you take some time for yourself to help destress, that's the last thing you need right now. hope you’re feeling a little better now Hayfc. How are you getting on? Hi everyone I’m new here! 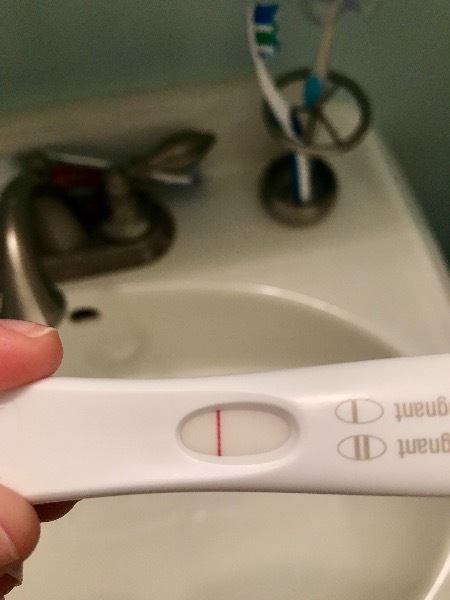 I took a test today and it came up with a faint pink line I just Want a second hand opinion on if it’s a bfp or a evap line!! Tavish, how are you getting on? And Lou Lou? Im in the darkest depths of nausea at the moment.. all day.. every day! I went back to work after my summer holidays today and that was a struggle! So sick, and SO tired!! Still attempting to not be stressed, and trying to remain chilled and calm.. appointments getting closer! I’m still testing daily as I just don’t believe it still.. thank the lord for those cheap bulk buy eBay tests! Hey ladies, nice to hear from you both! Try and ride it out Tavish, keep your chin high and keep yourself distracted Hun! Oh HayFc, I am sorry the nausea is bad, it's almost better to be sick than to constantly feel nauseas. How long until your scan? I am CD15 and pretty sure I ovulated yesterday, BD on CD10, 12 and 14. Hopefully that will be enough! On to the 2ww now. No idea yet, they wouldn’t give me an early scan when I had pains and spotting. They did however suggest stress was the cause of that. I’m assuming they book that at the initial midwife appointment? Which is on Tuesday!! Yeah the constant nausea is horrid! Waves of hot, mouth full of saliva, feel sick, repeat! It’s been really bad since Saturday! I wish I could just throw up and feel better and continue!! It makes Work a little uncomfy, especially as no one knows! Although I refused tea and coffee and gagged a little at the smell of someone’s lunch!! I’m sure they’ll guess! Oh Hayfc sorry you’re feeling so sick. Although I’d kill for some symptoms right now haha. Anything to give me some hope. 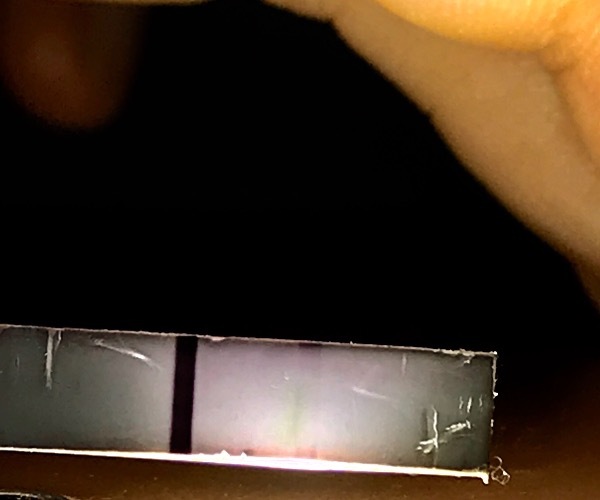 im 9dpo today, caved and tested but bfn. I would swear that I have felt implantation cramping for the last 2 days, and loads of watery cm. So I’m hoping I might get a hint of a line tomorrow. But then again it could easily all be in my head. Not too long to wait for you then! Try and hold out til Sunday maybe? As for me, think I actually only ovulated today... so 2ww has only just started! Ahh why does each cycle take so bloody long! I feel like I am just ticking along just waiting to be pregnant and anything else just doesn't matter! So hard to carry on with life when you want something so badly! ah loulou I know what you mean. I’m constantly googling and wondering am I pregnant? I over analyse every single Symptom I get, it’s draining. I feel like I’m just existing at the moment. I think if it doesn’t happen this month ill need to just try and stop putting so much pressure on myself. and that’s very disappointing for you that your ovulation date is later than you thought. Hoping the 2ww goes quick for you. Yep I get it! My time is mostly spent googling or checking these forums and reading about everyone else's journeys. I need to stop because it's not healthy! I am literally dying right now of excitement if this is for real I’ve been trying to conceive for a few months and I’m either seven or 9 days past ovulation based on O date. Can someone please tell me if they see this faint line as I do ???? Tavish, Lou Lou.. I have fingers and toes firmly crossed for you both! I hope it happens for you! So im registering as 8 weeks today, obviously the scan will give me more of a clue. Appointment on Tuesday... I’m nervous as I’ve read loads of stories of missed miscarriages etc. The stress I’ve been under has been insane.. and the sickness, is out of this world! Like a scene from the exorcist! I can imagine you both can’t wait for that though. The erm.... donor? Well he’s been horrible .. it’s becoming the normal thing to do.. he tells me he wants an us, house, life, baby together, in the next breath that he’s never liked me and Just used me.. wonderful. I’ve given up and just had to cut contact now. I’m too stressed by him and how hurtful he is!